It might surprise you to learn a large cyberattack source are the officers of your company. This is especially true when they travel internationally. Why? Because bad actors have found the C-Suite has the most valuable company information and are most likely to fall for hacker tactics. This blog will focus on ways to consistently protect your executives and the precious data they access and review every day. 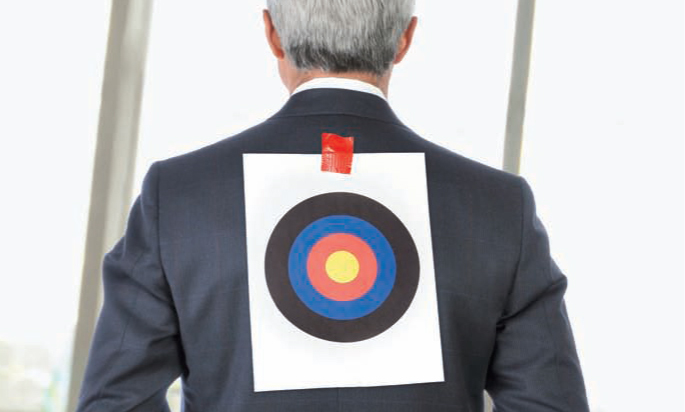 C-Suite Leaders Must Recognize They have a Bullseye on their Back. Hackers will watch, plan and practice on other targets before going after the president of your organization. However, this is their ultimate target. Executives must believe they will be targeted and put in place the proper measures to protect themselves, their data and the company from cyberattacks. Hackers monitor your executive’s social media accounts. Once cybercriminals identify who they are pursing, they will watch every social media post your executives write, especially news about traveling outside of the country.Executives need to tighten up their social media privacy settings. The company policy should not allow employees to put up social postings that contain travel plans or travel photos until they come back from a trip. Often, phishing emails is how cybercriminals get into management systems. Executives like to keep up-to-date. They often will click on a link or download a PDF if they believe it is vital to the company. Unfortunately, many attacks to date have had a high success rate using this ploy. Hackers spend hours and days devising the right type of email in hopes it will be opened. To thwart these criminals, executives must travel with encrypted, password locked devices before email access is allowed. Endpoint protection can also strip out malware attachments. This will keep their devices secure by bouncing or quarantining suspicious emails. Executives need to verify incoming emails. Spoofed emails from other supposed executives is how many hackers get into your system. They need to assume the communication is fake and pick up the phone to confirm with the company exec that he or she actually sent it. When traveling abroad, extreme measures should be taken. Here are four sound ideas recently shared in CIO:-Don’t bring a laptop or tablet. Put all notes, spreadsheets and presentations on an encrypted USB drive.-Only access company information through a VPN-If they must take their own laptop, smartphone and data storage device, have the latest updates and patches on each unit. Upon their return from a trip, have them scanned and wiped before connecting to the company’s network.-Never use a public Wi-Fi because bad actors can set up fake internet accounts that look real. Have them take a secure Mi-Fi to connect to the internet. Training is importantExecutives need ongoing, regular security awareness education as a reminder of all the items listed above, including a reminder about the strong desire for hackers to penetrate their systems. Our team of knowledgeable IT service experts provide an array of cybersecurity services focused on best practices that will keep your executives out of harm’s way. We are dedicated to finding the perfect solution for your business. Give us a call today at 516.876.8200 to learn more!